It’s become a bit of a tradition here at Winfields Outdoors that at the start of each year we round up some of the best outdoor bloggers on the internet. We did it in 2016 and 2017 and now we’re doing it for 2018 as well. The reason we do this is because there is a huge network of bloggers and writers who cover a wide range of topics including walking, camping, travel, health, and much more, and we feel the brilliant work they do deserves celebrating. Sian is from Bristol and she runs The Girl Outdoors. Her work has featured in various places you’ll definitely have heard of, including Lonely Planet, BBC Countryfile Magazine and The Independent. It says on her site that it’s for anyone who loves adventures – that’s you, right? Scotland has some of the most amazing scenery in the UK (if not the world), so if you want to learn more about the places you should visit north of the border, then this is a great site to check out. Continuing the Scottish theme, Scottish blogger Fiona has a fantastic site that covers all sorts of topics, including walking, running, cycling, and much more. Whatever your bag, Fiona’s covered it! The perfect site for adventurers everywhere, Cool of the Wild has articles on just about everything. Want to know what the best camping axe is? They know it. Want to know how to make halloumi and pepper stew on a campfire? They’ve got the recipe. Plus plenty more, obviously. Whether you have kids or not, Get Out with The Kids is a fantastic outdoor blog. You’ll find reviews of the latest kit, advice on places to stay, and of course plenty of ideas to entertain the children in the great outdoors. Splodz Blogz started off as a bucket list to encourage others to get outside an experience what the outdoors has to offer, but it’s now grown into much more than that with articles about various aspects of outdoor activity and much more. The Outdoor Women’s Alliance is all about inspiring more women to get outside and build their confidence and leadership qualities. It’s not a blog in the same style as others on the list but still well worth your time and a place on this list. Travelling Lines is all about inspiring adventure and offering practical advice, and also has a focus helping build a community of women in the outdoors. A really down to earth site, there’s also a bucket list if you want to add some things to your own list! Views From An Urban Lake covers all sorts of topics from geocaching to outdoor wellness and everything in between. It also focuses on nature and some of the amazing animals we have in our country. From Philadelphia in the US, Katie of Adventure Inspired has a raft of gear reviews to look for the latest kit, as well as brilliant interviews with outdoor folk including climbers, companies and authors. If you’re from (or want to visit) the North West of England then The Urban Wanderer has some fantastic posts covering various towns and cities in the area, as well as plenty of interesting adventures further afield. If you want help with cooking when you’re camping or out on the trail then this is a great site with recipes and top tips to make your outdoor meals delicious. Kitiara is originally from the UK but now works from all over the world. As such, her posts range from what we can see right here in the this country to the far flung regions of the world. The photography on the site is pretty great too! Another site with great photos, See Outside has some brilliant gear reviews as well as articles about travelling in the UK and around Asia. Really inspiring stuff that makes you want to get outside and get hiking. “Time outdoors, whatever the weather, is time well spent” reads the bio of Zo Outdoors, and we whole heartedly agree! Zo Outdoors covers activities such as cycling and hiking but also more adventurous things like paddle boarding and wold swimming. Like adventures? Then the clue’s in the title with this one! This American site has plenty of inspiration for those across the Atlantic or anyone planning a trip some time in the future. This is another US website, but it also has a lot of other advice-based posts that are relevant for getting outdoors no matter where in the world you are. 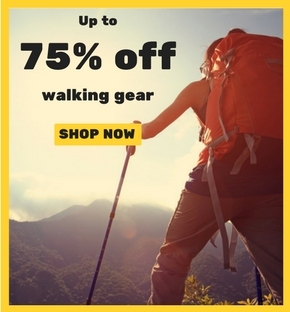 With loads of posts about hiking and walking, the Helpful Hiker is very helpful indeed! With tips for lots of different days out, this site is great for families and those who prefer to go it alone. The Two Blondes have a passion for Dartmoor and have even released books about the national park. There are some fantastic posts on this site that cover various places in the UK that will really get you pumped for your next hike. The Modern Hiker will give you some serious inspiration for getting outdoors, even if it is based in the US. However, there are also plenty of other posts for everyone to enjoy, such as the best outdoor books to read. Baby Routes shows that having a young family doesn’t mean you can’t get outside and get walking. This site has loads of walks you can try around the UK as well as lots of tips and advice for parents and families who want to get out more. Beers at the Bottom is a beer lovers hiking guide – something we’re sure many of you will be interested in! Combining a love of beer with a love of hiking, this could become your new favourite site! With everything from map reading to ultralight backpacking, Section Hiker is one of the most comprehensive hiking sites around, so is well worth a read. As the name suggests, this website is fantastic if you like walks and walking! With examples of great walking routes in the UK, as well as gear reviews, this is a great site to follow for all walkers. If you like hiking in Yorkshire, then this is a great site to find routes and inspiration, but there’s also a wide variety of other articles guaranteed to improve your walking game. Finland might not be the most obvious hiking destination, but this site might just make you want to hop on a plane! There are other destinations on there as well if Finland isn’t your thing! We like to promote hiking as far and wide as possible, and now we’re going to Southern California. However, there’s loads on here for hikers who don’t have any plans to head Stateside so is still worth checking out. We’re continuing our trip around the world with Slovenia now! You might not be aware of how beautiful the scenery is in Slovenia, but this site will show you just how amazing it is. This funky looking site has all sorts of information about trekking and thru-hiking, and although it has a general US focus, there’s plenty of stuff to appeal to UK readers. 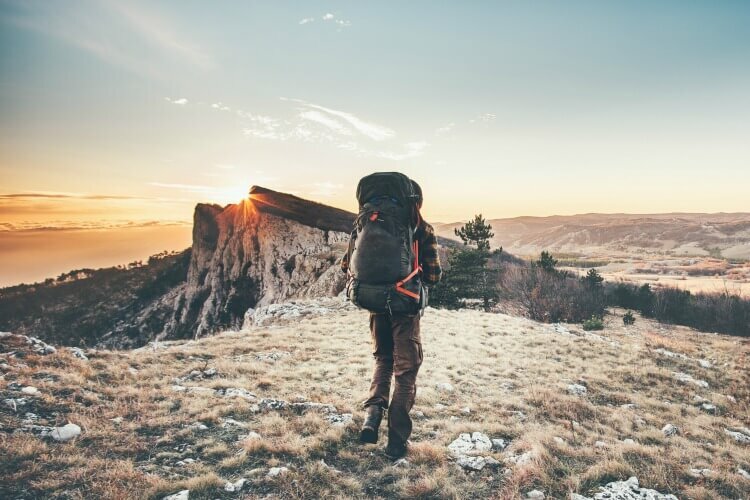 If you’re stuck for places in the UK to walk, hike and scramble, then Hill Explorer will provide some excellent inspiration, covering almost every corner of the country. If you want a walking blog that has wonderfully written entries and fantastic photos, then this is the one for you. Definitely one to bookmark if you have a passion for hiking. If long distance and thru-hiking is your thing, then this site is a great one to check out. From personal stories out on the trail to advice on gear, this one isn’t to be missed for serious hikers. Come Walk With Me is actually a guided walking business here in the UK, but they also have an excellent blog with lots of great walking tips and advice. It’s no surprise that many of us who love getting outdoors also have a faithful dog or two at our sides while we do so. This blog combines two of our favourite things and we know you’ll love it! Not only do Cool Camping provide you with info amazing places to camp in the UK, but they also have an excellent blog. Very cool indeed. Campfire Magazine covers pretty much every aspect of camping, from the best camping stoves to Britain’s best beaches. 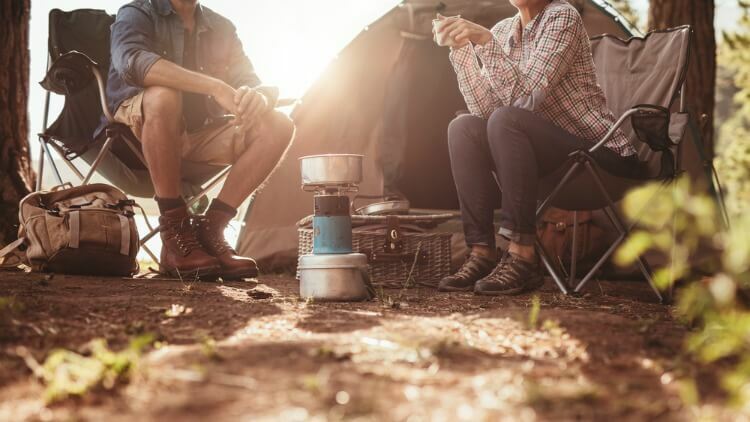 A camping blog at heart, Camping With Style will have you covered for all sorts of outdoor activities, including some great gear reviews and advice for hikers and campers of all levels. With a focus on outdoor women adventurers, Camping For Women is a fantastic resource for women wanting to get out and even asks for women to share their knowledge and experiences to help others. One for our camping friends Down Under or anyone planning a trip there. This blog has lots of Aussie-specific posts, but also plenty of general camping advice that can help anyone, wherever they live. 50 Campfires positions itself as ‘the camping authority’ and after browsing the site, it’s hard to disagree – although we think we deserve that accolade, obviously! Loads of posts from camp cooking to gear reviews and much more. Inspired camping focuses mainly on the popular pastime of glamping, so if you prefer to be a bit more snug on your camping holidays, this is a great site to check out. Although only updated sporadically, this site has plenty of great advice for anyone with an interest in campervans, including guides, reviews, events, and more. Part travel blog, part campervan blog, Van Dog Traveller documents the places they’ve been to around Europe as well as the various maintenance and fixing jobs done on the way. For those of you who love you caravan, then the Caravan Times has a wealth of information, with everything from articles about caravan insurance to brand reviews. There’s also an excellent forum where you can chat with likeminded caravanners. For those really serious about their caravan, then this is a great website. It covers everything you’d expect but also goes into lots of detail about specific subjects, so is perfect for beginners and experts. Practical Caravan is one of the websites for caravan aficionados with blogs, videos, competitions, reviews and much more. If you’re thinking of buying a caravan or you’ve had one for years, this is a site you should check out. If you’ve ever had dreams of just packing everything up into a van and seeing the world, then this site might just make your do it. Featuring some great photography and stories, this is a fantastic and inspiring website for all van life enthusiasts. People love to caravan in Australia, and this site is a great resource for all those planning a trip there, especially if you want to do it with children! Ordinary Cycling Girl is targeted towards women who want to get out more, especially if they love life on two wheels. As well as cycling, there’s plenty of general health and wellbeing advice, including yoga tips. For some people, ‘run, eat, repeat’ is a way of life, and if that sounds like you then this blog is full of essential advice, including what to eat and drink, as well as some great running routes. If you think that you simply can’t exercise for whatever reason, then this is the site for you, proving that getting fit is for everyone. 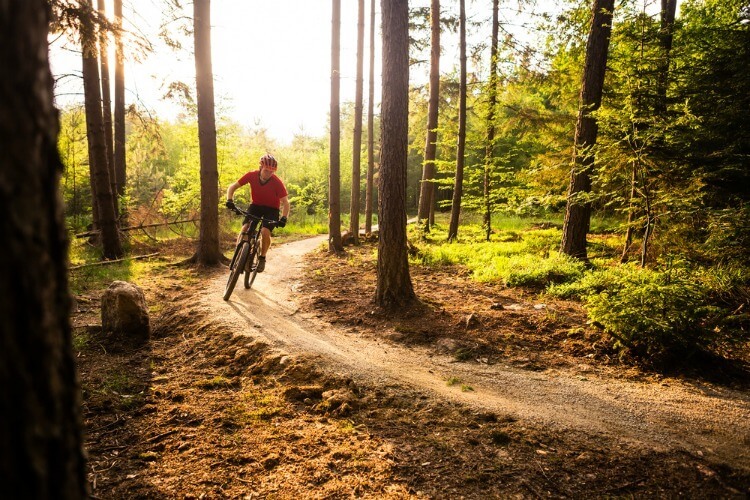 Posts include advice on swimming, cycling, running, and more. We could probably have popped Lizzie Outside in the travel section, but as the site is just as much about staying healthy mentally as well as physically, it deserves its place here. It will give you serious travel envy, though. For runners, the title of this blog will ring very true! This is a very honest site that will show you the highs and lows of running around the UK. For anyone wanting to start getting fit (or fitter), then this is the perfect place to start with articles about pretty much everything from running to bootcamps to assault courses. Parkrun has become a bit of a phenomenon and has been instrumental in helping people get fit. Their blog is a great resource for those who want some essential running tips. What makes Miss Wheezy stand out is that it shows how anyone with asthma can still get outside and do exercise despite their condition. If you have asthma then this site will help you get fit. If triathlons are your thing (or you’d like them to be), then Paddle, Pedal, Pace is a superb site with loads of handy advice to get you started or improve your times and technique. The great thing about this blog is that it’s for everyday cyclists who ride on the road as well as elsewhere, covering safety information, updates to the law, and more. Tailfish is packed full of fantastic information for anyone wanting to lead a healthier lifestyle, including healthy eating and exercise tips. Dubbed as a travel blog about stylish adventure travel, that descriptions seems to fit the bill perfectly. Full of style, this site has articles about places many of us might actually get the chance to visit! Bearfoot Theory is a pretty comprehensive site that’s been made for everyday people rather than the uber athletic. You’ll find a wealth of posts about pretty much every aspect of being outdoors and travelling. Many people might like the idea of travelling and seeing the world but feel it’s not practical because they have children. This great site shows how it can be done! The aim of Girl Gone Travel is to inspire and it most certainly does that! From family adventures to trips away with your friends, and even stuff you can do at home, this is a brilliant site. If you want some amazing photography to accompany your travel reading then you can’t go wrong with The Wandering Lens. Not only will you get inspiration for where to head on your travels, but you’ll also learn how to take great photos. If you want proof that you can travel the world and see everything (and make money doing it) then Expert Vagabond is that proof. From camping on an erupting volcano in Guatemala to trekking in Greenland’s Arctic Circle, this site really does cover every corner of the globe. This is another great site focused around getting away with the kids, whether it’s in the UK or abroad. If you’re planning a trip with the little ones, this blog has some brilliant advice and places to visit. If you like your travel with a little luxury, then this could be the site for you. From cruises and staycations to world travel and more, this has something for everyone. 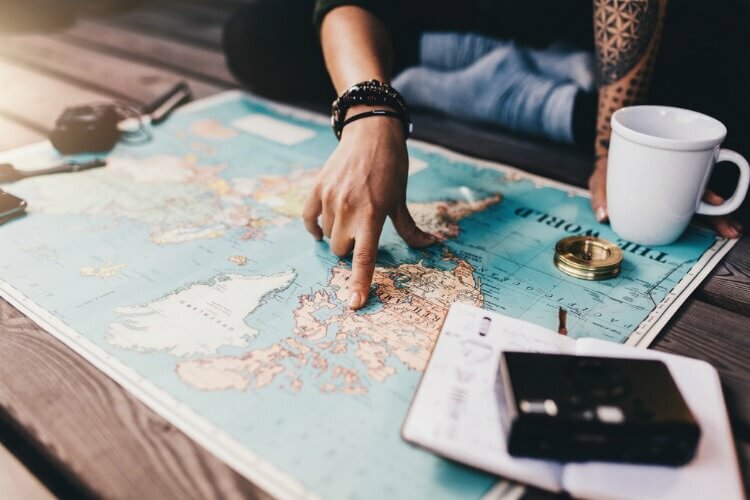 If you have a bucket list or you’re thinking of making one, Bucket List Journey will provide you with plenty of ideas for things to add to it. Want travel tips from someone who’d travelled to over 45 countries? If so, see the great posts from Victoria on Pommie Travels. There aren’t many places that Travel Dudes doesn’t cover, so whether you’re going to Rome, South Africa, Sri Lanka or Cornwall, this site has a bit of everything. Anna really has been everywhere! From London to Amsterdam to Mexico to South Africa, this site will give you serious travel envy and make you want to head straight to the travel agents. Do you daydream about quitting your job, selling up and seeing the world? It might sounds crazy but that’s exactly what Kim and her husband of So Many Places did. Could you do the same? Like to keep it local with your travel? Perhaps you want to see as many far flung places as possible? Either way, Global Grasshopper will provide all the travel inspiration you need. For those who want to know more about travelling in more remote locations off the beaten track, then Travelsauro is a fantastic site, with loads of inspiring articles and photos. This site is for anyone who loves nature and the outdoors, so that’s all of us, right? With some great gear reviews and ideas for places to visit, this is a really handy blog to bookmark. There aren’t many travel blogs out there that boast quite the range of places mentioned as Luxury Columnist. From Jersey and Jamaica to Monaco and Mexico – and lots of places in between! So there we have it! It’s quite the list and congratulations to all those featured. If you think we’ve missed a fantastic outdoor blog, then let us know in the comments!